In the last three articles of our Green Guide to Prefab series we discussed the history of prefab design, the evolution of mobile homes into modular prefabricated homes, and how to best choose a site for your prefab. Despite key components being prefabricated off-site, prefab homes actually offer a lot in the way of customization, allowing individuals to custom tailor many features to create their ideal living space. In our latest Green Guide to Prefab series, we’ll be taking a closer look at the concept of “lifestyle”, and we’ll tell you the questions you need to ask in order to build a home that fits best with your life. Read ahead as former Lindal Cedar Homes CEO and green design consultant Michael Harris returns to Inhabitat to walk us through the business of examining lifestyle and understanding why this element is crucial to creating a happy, comfortable and enduring home. For many people, building a home is an exciting prospect that draws upon long-time dreams of creating a living environment that reflects their sensibilities, individuality and independence. 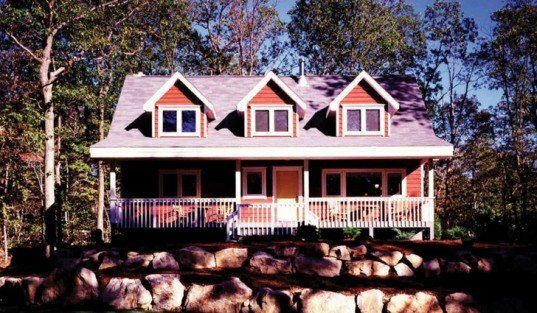 Those who opt for prefabricated housing over moving into new communities of cookie-cutter tract houses are typically stirred most by those values — and this is what makes them as unique as the houses they seek. Some of you are looking forward to planning your new home from scratch and are excited by the opportunity to proceed at a leisurely pace as you plan every detail with an architect. Others of you have may have already designed your dream home on paper and are seeking an expert such as an engineer to help you refine your creation and bring it to code. But there several of you who aren’t working from scratch, but are instead seeking out an existing design that will serve as a good starting point to developing your home. Prefab design is an attractive option for those in search of a perfect lifestyle fit without investing all the time, anxiety and headache that comes with building something from scratch. One of the most important first steps to building a new home is to decide which of the above approaches best describes your planning temperament. Once you’ve done that, you need to explore this with prefab home builders. By visiting several builders you’re more likely to find one who can provide you with the type of planning experience that suits your lifestyle and temperament. It is important to ask a lot of questions to determine who is your best fit — your choice will bring you closer to making your dream home a reality. Which spaces will be expandable into others? Which spaces will have direct access to the exterior? In which rooms do you prefer sunlight at various times of day? What special storage or leisure activities need to be accommodated? Can any spaces serve multiple functions? Where and when do you expect true privacy? Do you require special accommodations for other generations within the family? Will you work at home? How and where? Where will you eat alone? With family? With many guests, if you entertain? What prized personal possessions need to be showcased? Is energy-efficiency and sustainability important to you? Will you invest a portion of your budget in green building strategies? Since building a new home is subject to compromise (like everything else in life), consider each item on your list and prioritize what is most important. One way to organize your list is in terms of: top-level priorities (#1); second-level priorities (#2); and desirable, but not critical features (#3). I also believe that these are the type of questions that prefab home builders should be asking you, and if they are not, consider what that lack of inquiry may mean. Prefab home builders need to provoke new thought and accommodate responses in order to produce great homes – even when modifying a pre-existing plan. You’re not planning a new home because your current home perfectly satisfies your needs – make use of your current home’s shortcomings and create another list of the things you feel it lacks. You can use this list throughout the design process to make sure your new home has the features you want and solves any design problems you’ve experienced with your past home. Good things come in threes — and that applies to lists as well. The last list I suggest making is probably the most challenging: the list of the future. Some things to consider as you compile this list include how you see your lifestyle changing in the future (10, 20, 30+ years from now). You may be embarking on a burgeoning career that may one day require a home office, or you may think of your home as a multi-generational haven for your children, and perhaps grandchildren to live with you. While you can’t predict the future, you can create a space that’s in line with what you foresee. Whether it’s building an addition for your aging parents, a pool, or a garage, it’s important to dream a little and make sure your design will be able to accommodate important changes in your lifestyle. After you’ve made your lists, it’s time to find a home builder or architect who will be able to incorporate these ideas into your new house. Even if you are starting with a pre-designed plan, a perfectly customized home is still in your reach. Don’t compromise on the help you need – marrying a design to your evolving lifestyle and site is a complex task, but it can be done! I am fortunate to have been affiliated with companies that recognize the importance of creating homes inspired by clients’ lifestyles. Lindal Cedar Homes is one company that I’m proud to say makes this a reality. 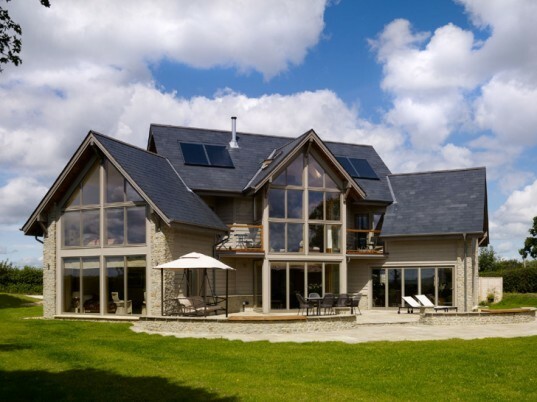 Lindal offers a broad portfolio of traditional and modern designs for clients to consider as their starting point, and its post and beam system makes modifying these designs easy. Lindal also offers modern designs created by some of North America’s leading architects in the newly launched Lindal Architects Collaborative, bringing even more design options to the board. 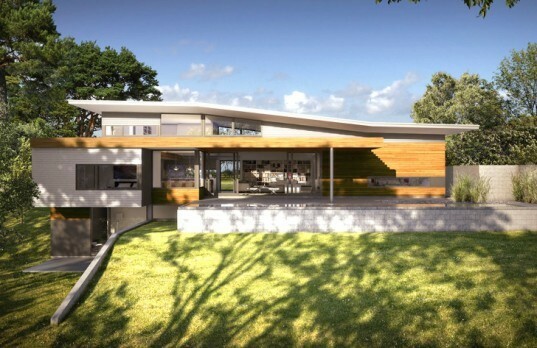 The company also offers a design program that accommodates those who have planned their own designs, those who want expert advice while creating their own designs, and even those who wish to work directly with talented design pros, like Turkel Design (who created the Dwell Homes Collection). The flexible and efficient Lindal building system accommodates an incredible array of personal needs and organizational strategies, and it offers a vast menu of material options. The first Green Approved building system is efficiently produced and shipped worldwide at competitive costs that have not been possible with pre-built modular homes. Sixty-seven years of experience, 50,000 completed projects, and the industry’s only lifetime structural warranty inspire confidence in consumers. Lindal also offers readily available personal service thanks to their network of over 100 independent local dealers located in key markets throughout North America, and in over a dozen international markets. Companies like Lindal prove every day that prefab can be oh-so very fab. 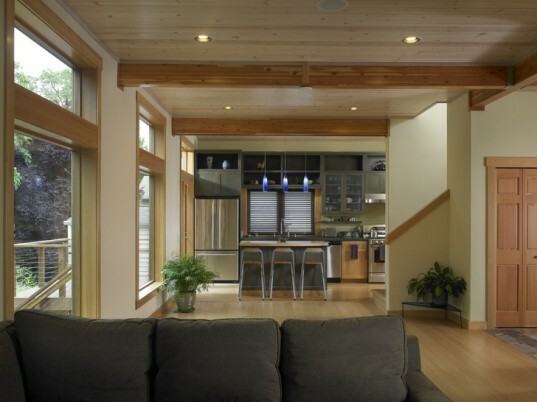 Lindal Cedar Homes is the world’s largest provider of quality custom cedar homes. 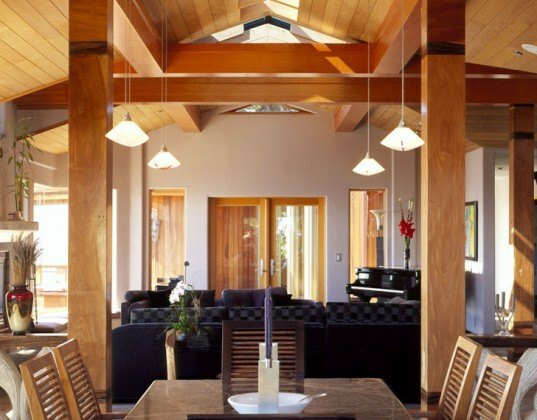 Founded in 1945, there are more than 50,000 Lindal cedar homes—and satisfied homeowners—worldwide. 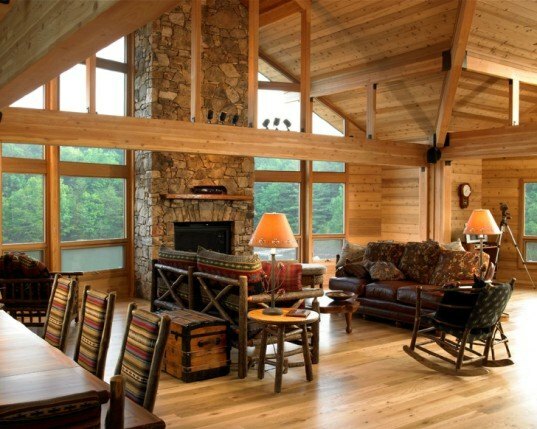 Known around the world for their signature post and beam building system, quality building materials and detailed craftsmanship, their experienced Lindal Cedar Homes dealers will help you each step of the way. Michael Harris is a MIT graduate with two degrees in architecture. Michael has made it his professional mission to innovate system-built design and the planning process to ensure fulfilling client experiences. Michael spent 31 years at Deck House Inc. working with clients, designing new products, innovating client-centric sales process and marketing, and was involved in the acquisition of a competing brand (Acorn Structures). He led the company as CEO and served on its Board of Directors for 15 years. In 2006, Michael joined Lindal Cedar Homes, working with executives, staff and dealers to build a new strategic plan, then implementing the plan as President and CEO. Today he works as an independent consultant and dealer (testing the efficacy of the plan by” walking the talk”). While at Lindal, he led the company’s entry into the modern market; forged a collaboration with Dwell Media initiating Lindal’s participation in the Dwell Homes Collection; and created the Lindal Elements program, a new line of on-system designs and process he designed with the company’s creative staff. He brought the iconic industry player to become the first “Green Approved” building system by the NAHB Research Center and the only single family home included in TIME Magazine’s Green Design 100 in 2010. In addition to selling and consulting, he serves on the Board of Advisors of Blu Homes, writes on the subject of manufactured housing, and enjoys life with his wife Carol, splitting their time between Seattle and their family’s home base in New York City. Is there more information on the house from picture #2 from the slideshow? 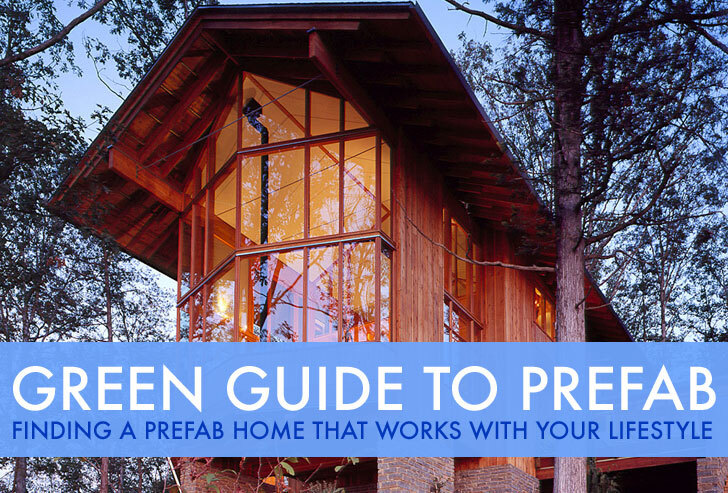 Green Guide to Prefab: Finding a prefab home that works with your lifestyle. Prefab does not necessarily mean predesigned. My girlfriend and I had some ideas for a home worked out after we found a plot of land. We then went to see an engineer to, as you put it 'refine it and put it to code'. We then took the plans and went to several prefab builders and window making companies and got quotes for the wooden frame and the windows. In 12 weeks, the wooden frame will be delivered. My father and I are going to help the prefab guys putting it together. The prefab builder said it should take only three days. For budget-reasons we unfortunately had to let the passive house idea go, but the house is still insulated very well (±Rc 8) and triple glazed all around. In the last three articles of our Green Guide to Prefab series we discussed the history of prefab design, the evolution of mobile homes into modular prefabricated homes, and how to best choose a site for your prefab. Despite key components being prefabricated off-site, prefab homes actually offer a lot in the way of customization, allowing individuals to custom tailor many features to create their ideal living space. In our latest Green Guide to Prefab series, we'll be taking a closer look at the concept of "lifestyle", and we'll tell you the questions you need to ask in order to build a home that fits best with your life. Read ahead as former Lindal Cedar Homes CEO and green design consultant Michael Harris returns to Inhabitat to walk us through the business of examining lifestyle and understanding why this element is crucial to creating a happy, comfortable and enduring home.